Most Filipinos, either the enthusiast or the constant sleepyhead in History classes, know Apolinario Mabini. He's one of the staples alongside Jose Rizal, Andres Bonifacio and Emilio Aguinaldo among others, and his face has been in Philippine money even before my father was born (people my age remember him as the no-look-at-the-camera guy in the defunct PHP 10 banknote). In 1956, then Vice President Carlos Garcia and then President's consort Mrs. Luz Magsaysay inaugurated Mabini Shrine (officially Museo ni Apolinario Mabini, Tanauan) in honor of the Dakilang Lumpo ("Sublime Paralytic", Mabini's well-known moniker). 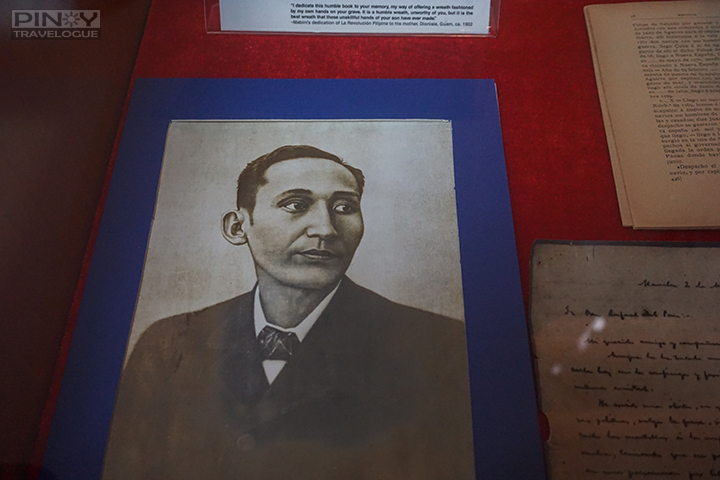 Kept within the walls of the shrine's lone building are Mabini's personal belongings, age-old documents, books, modern interactive educational media and audio-visual presentations that relay to shrine visitors the life of the revolutionary hero. 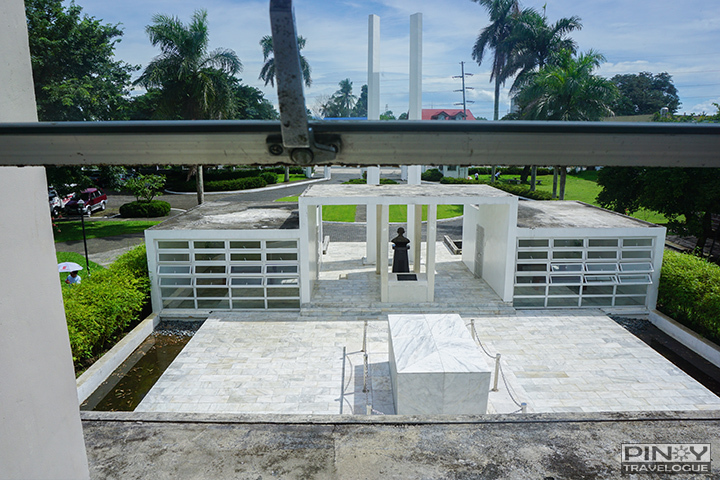 Also within the shrine's compound stands a replica of the nipa hut where Apolinario was born, and a mausoleum under the sun where Mabini's remains lies in repose — beneath a white marble niche poignantly guarded by his bust and two towering pylons that illuminate at night. 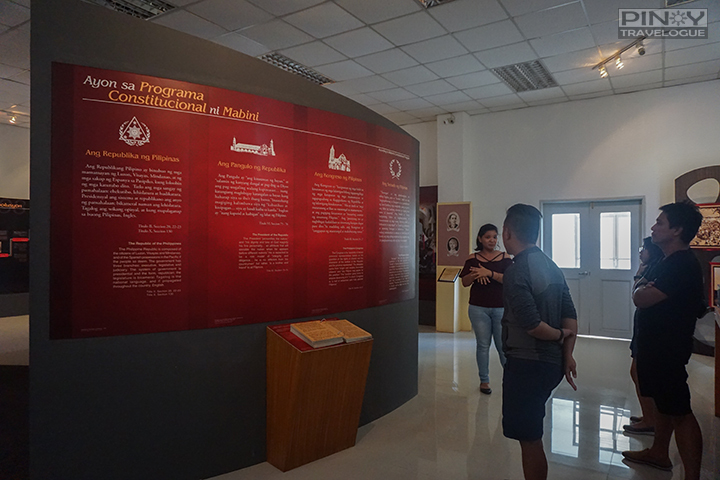 The two-story museum presents Mabini's patriotic life and the Philippines during his time in seven galleries: Kabataan ni Pule (Early life of Pule); Mabini, Repormista (Mabini, the Reformist); Mabini, Rebolusyonaryo (Mabini, the Revolutionary); Digmaan Laban sa Estados Unidos (War against United States); Digmaan sa Luzon (War in Luzon); Digmaan sa Visayas at Mindanao (War in the Visayas and Mindanao); and Pamana ni Mabini (Mabini's legacy). Places beaming with rich history never fail to hold a fascination for me, and I found this part of our Batangas road trip a venue to have my fix. 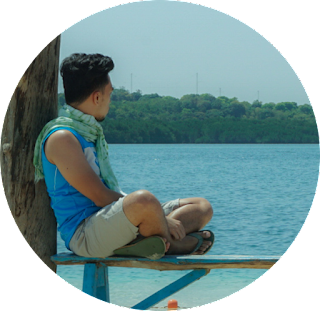 Here's a list of what the shrine taught me about the great guy from Tanauan City. Though at a young age he was sickly, Mabini became incapacitated only when he was already a lawyer (he received his law degree in 1894 at the University of Sto. Tomas). Polio caused him to lose the use of both his legs shortly before the 1896 revolution against Spanish rule broke out. I really thought Mabini had polio since birth. It's either any of my Araling Panlipunan teachers failed to mention this or I was absent, mentally or physically, when they tackled Mabini's life in class, haha! On a positive note, his paralysis in 1896 lengthen his life. He was arrested, along with 13 Filipino insurgents, by the time the Spaniards discovered the plans of the revolution and came running after the people behind it. 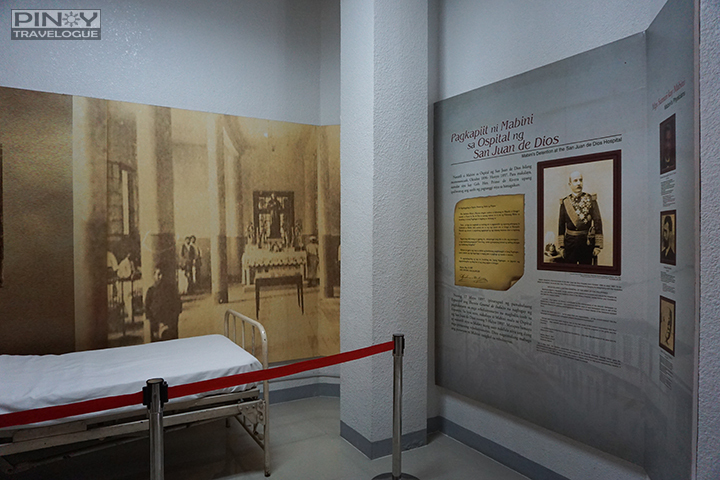 Still ill, the authorities sent Mabini to San Juan de Dios Hospital while the others were eventually shot at Bagumbayan (now Luneta Park). The so-called Trece Martires de Bagumbayan (13 Martyrs) could have been "catorse" martires if Mabini was executed along. 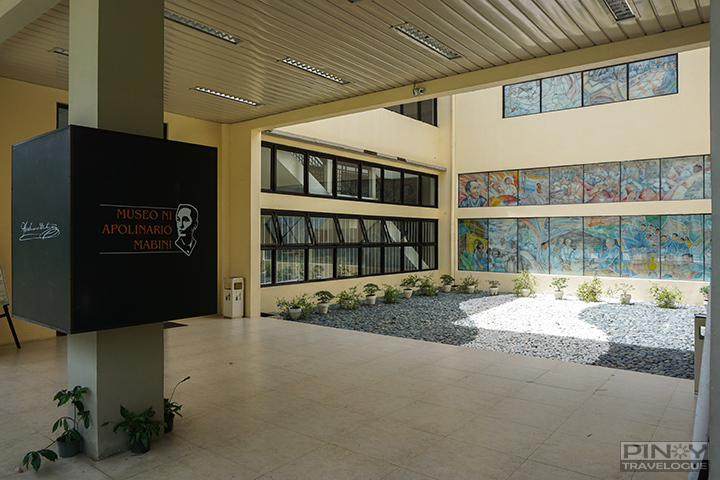 Gen. Emilio Aguinaldo, who was about to become the country's president then, sought Mabini's legal expertise when he established the new revolutionary government. 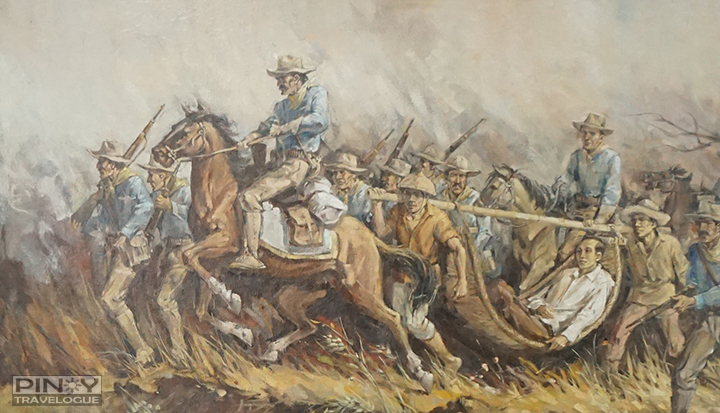 Mabini was recuperating in Los Baños, Laguna when Aguinaldo sent his men to carry the former's hammock and port him to Kawit, Cavite. They met on June 12, the same day when Aguinaldo proclaimed the country's independence from Spain by unfurling the Philippine flag at the center window of his mansion. 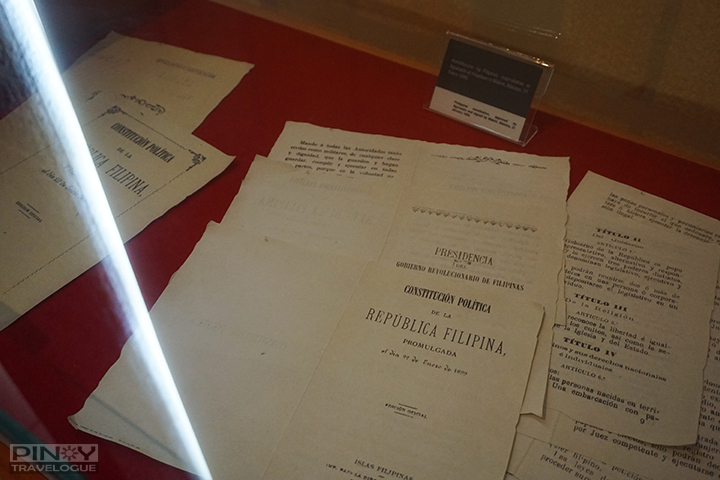 In January 1899, the First Philippine Republic was inaugurated. Mabini was one of Aguinaldo's cabinet member, assigned as the Prime Minister and Minister of Foreign Affairs at the same time. He wrote decrees for the president and created a draft of the Constitution for the newly formed republic, which was later rejected but became instrumental in creating the Malolos Constitution — the basic law of the Aguinaldo government. 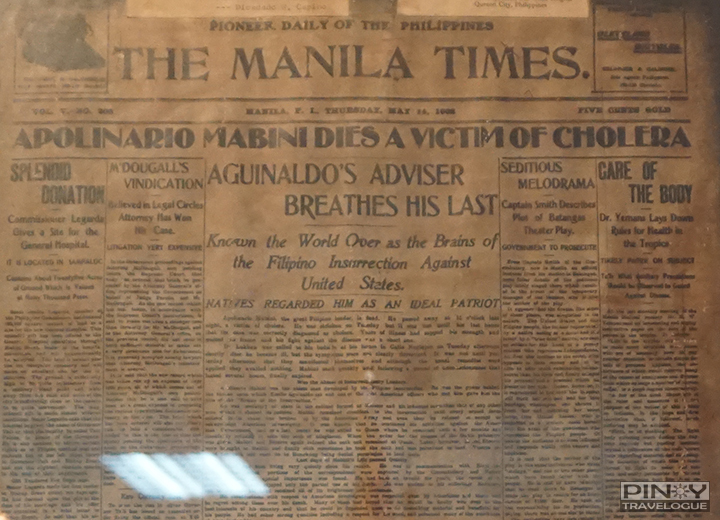 Mabini resigned on May of the same year. 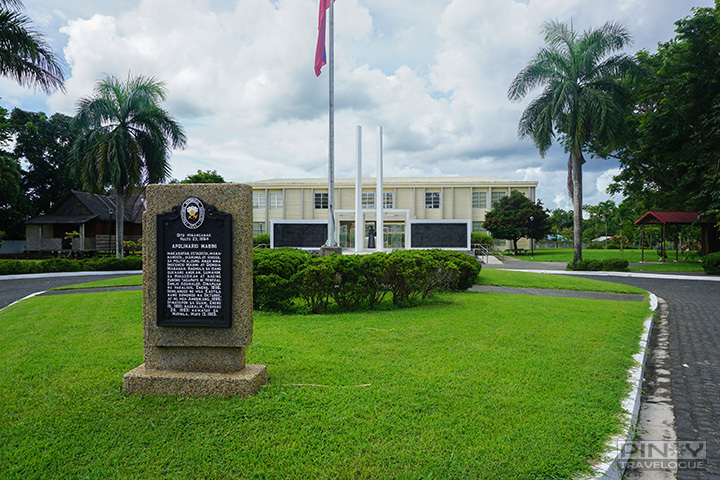 After refusing to sign an oath of allegiance to United States when captured during the Filipino-American War, Mabini was exiled in Guam in 1901. He was already ailing by the time he returned home in February 1903; his conditioned worsened when he contracted cholera from a contaminated carabao's milk. He was bed-ridden the night of 12 May 1903 until the next day May 13, he succumbed at the age of 38. 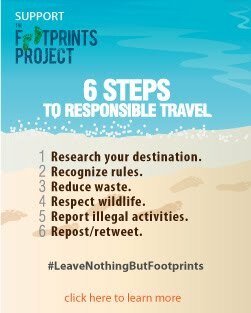 Again, apologies to my former teachers — I knew polio killed him! Right after his death, thousands flocked to his home at Nagtahan (Manila) to pay their last respect — friends, colleagues in the revolution, famous figures in the society, and countless students and youth. His death headlined in newspapers in the country, in Spain and in the United States. 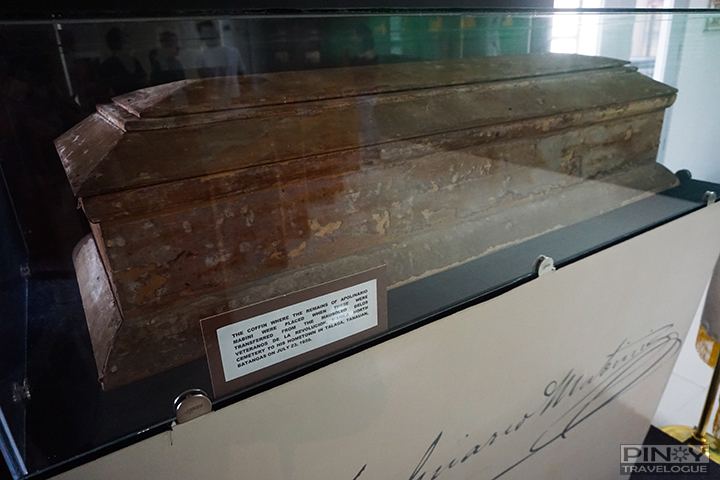 Mabini's remains lied at Manila North Cemetery until July 1956 when it was transferred to his hometown in Tanauan City, Batangas — at the site where Mabini Shrine stands. In Philippine history texts, the two contemporaries were regarded for their intellectual contribution during the revolution, thus sharing an interchangeable moniker. Mabini was the Brain of the Revolution while Jacinto was known as the Brain of the Katipunan, though some believe it was rightful to recognize him as what Mabini was known for. How they become the intellects of the era: Mabini and Jacinto already knew each other even before the revolution; both were masons and law students at UST. Emilio Jacinto was Bonifacio's (the supreme leader of Katipunan) trusted adviser during the revolution against Spain, while Mabini was Aguinaldo's main man both during the revolt against Spain and the following war against United States. Opens: Tuesday-Sunday, 8 a.m. to 4 p.m.